Here at I Ate My Way Through, we love any excuse to go on a food crawl. 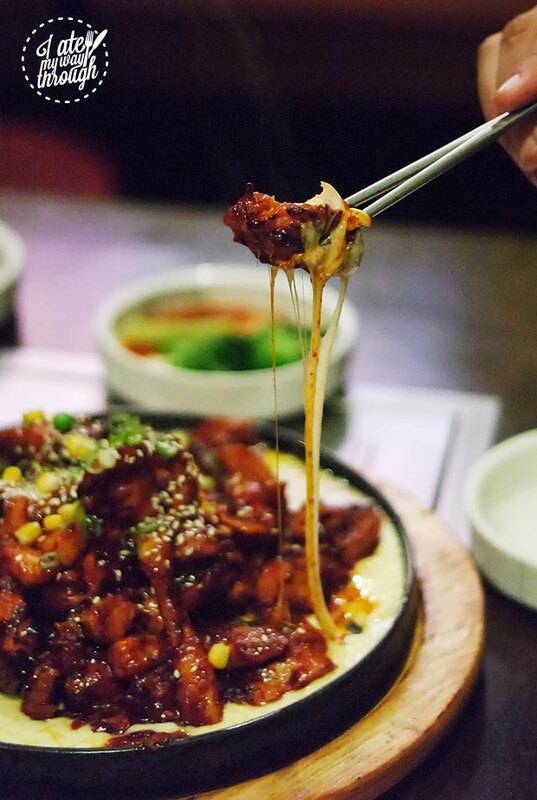 So to celebrate the Korean harvest festival of Chuseok – a mid-autumn time of celebration where South Koreans return home to spend time with their families – we went on Korean food crawl through the bustling suburb of Strathfield. 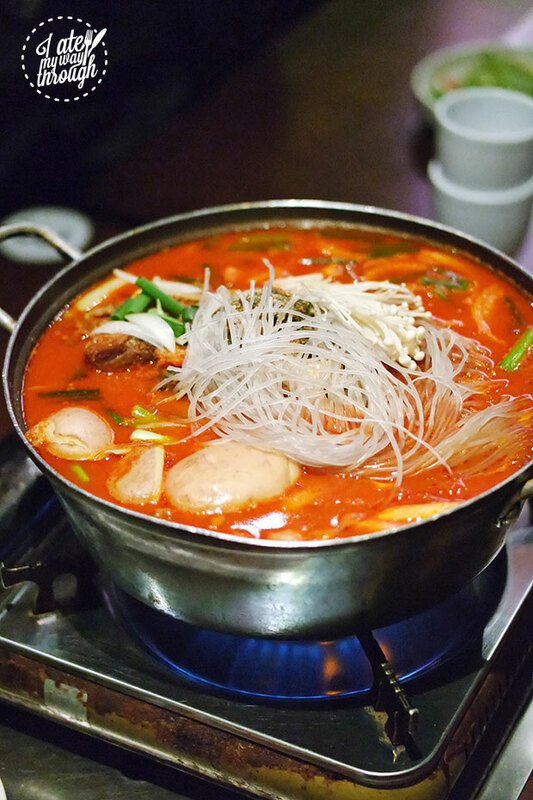 Strathfield has always been known as a Korean neighbourhood, and with the influx of young foreign students, Strathfield has become known as a neighbourhood for group dining, with all the usuals like Korean fried chicken, dumplings, chilli chicken, and indoor tabletop barbecue. James from The Mandoo – which has branches in both Eastwood and Strathfield – very nicely agreed to host the Meetup with us, and with his knowledge and personal experience with Korean food, we knew we were in good hands for the evening. 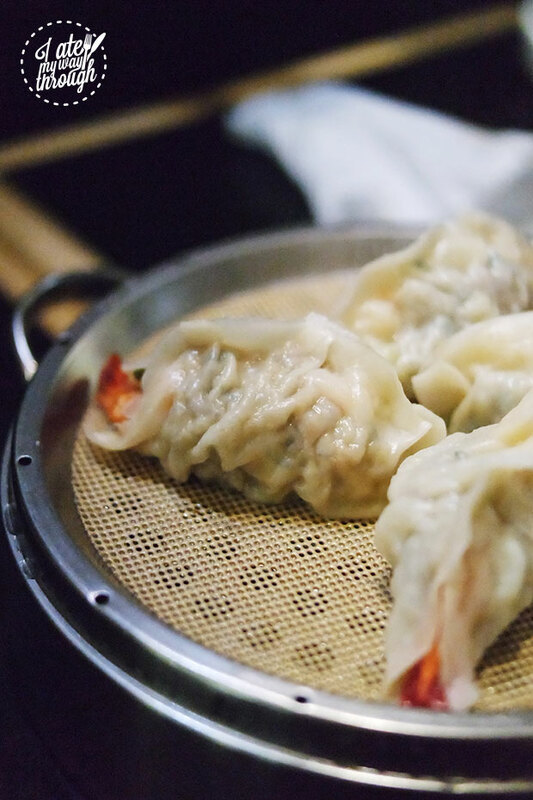 Mandoo refers to Korean dumplings, which this family-run restaurant makes fresh every day, alongside house-made noodles and fresh kimchi. This version of kimchi isn’t fermented, and carries a crisper texture than the traditional kimchi. It also doesn’t contain the usual ingredient of fermented shrimp paste, retaining the flavour of fresh napa cabbage. Mandoo can come in different forms. 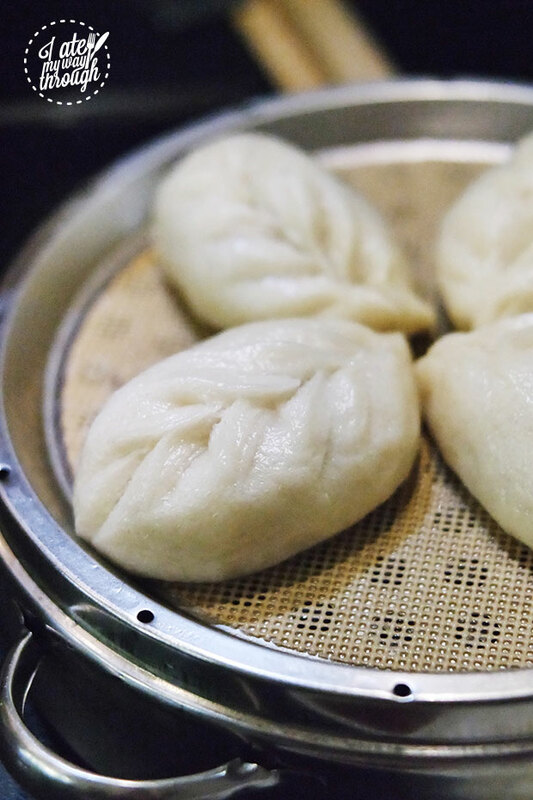 Generally quite large, they come with the regular thin dumpling skins, as well as in bun form. 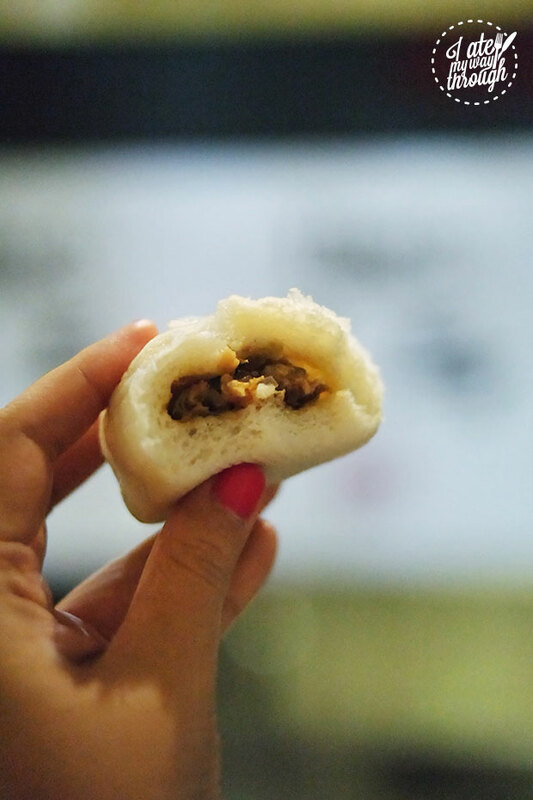 We knew we had to order the Galbi Pork Bun Dumplings, $10 for 4, when we were told that it used the traditional soy-based beef rib marinade, mixed in with a pork filling, and stuffed into a fluffy white bun. 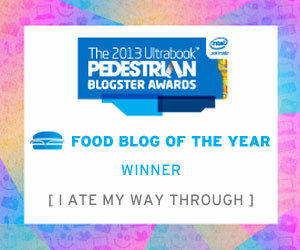 It was very a very cool flavour – smelled like a Korean barbecue, tasted like a pork bun! 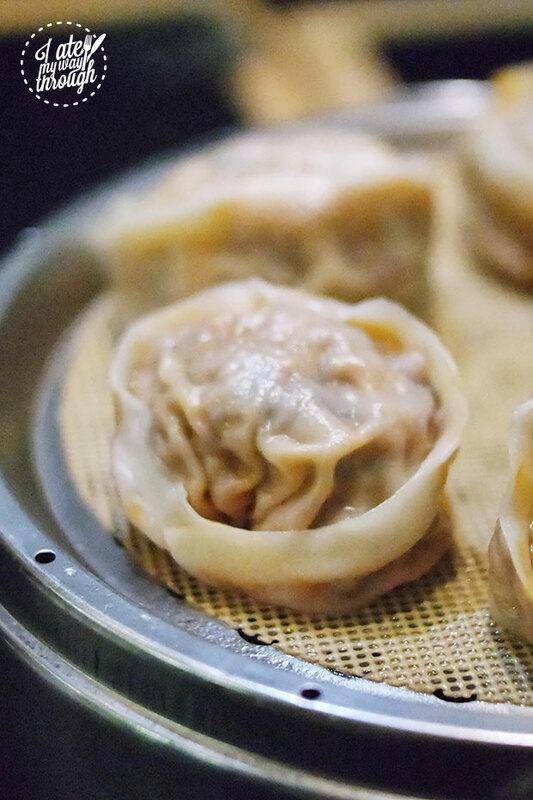 Dumplings with the traditional dumpling skin include the Kimchi Mandoo, $10 for 5, which are filled with pork, salted cabbage, and sweet potato noodles. 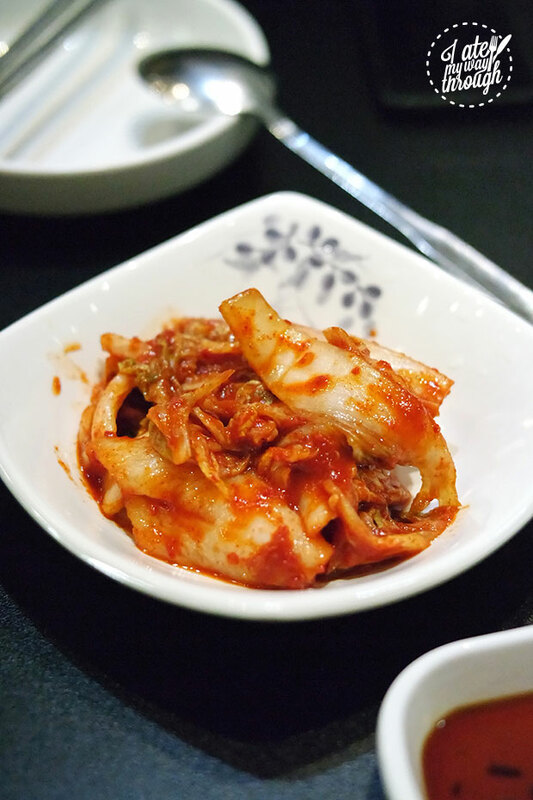 The kimchi provides a light spice and tang, but without overpowering the dumpling. The Prawn Mandoo, $12 for 4, were my personal favourite dumplings. Served with pickled radish and a soy based sauce, these were filled with a similar pork and noodle filling, with salted radish and a whole fresh prawn wrapped in there with it. There was just something so addictive about the texture of the filling, mixed in with the flavour of the prawn, and the tartness of the pickled radish. 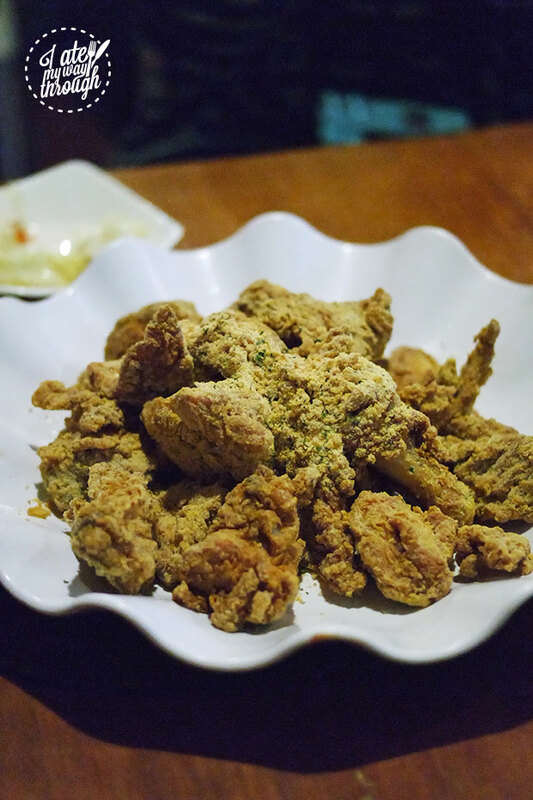 Located inside the Strathfield Sports Club, Red Pepper is Strathfield’s version of RSL food, except that this comes in the form of EPIC FRIED CHICKEN. Considered by some to be Sydney’s favourite KFC, Red Pepper serves up a whopping 10 varieties of Korean Fried Chicken to eagerly waiting patrons. Snow Cheese Chicken is my inner chubby kid’s dream come true. Crispy battered chicken is covered in what I can only describe as the illegitimate lovechild of cheese Twisties and Cheezels ground into a fine powder. The batter shatters into your mouth with every bite, followed by hot juicy chicken meat, providing all the satisfaction that fried chicken promises. The Sweet Soy Sauce Chicken is was, as James explained, not as simple as it name sounds. Minced garlic is first lightly sautéed in sesame seed oil, then cooked in light soy and glucose to create a shiny glaze. A touch of Korean chilli flakes are added to round out the savoury flavours, and to provide the aroma of peppers. And our final order at Red Pepper: Spring Onion Chicken. 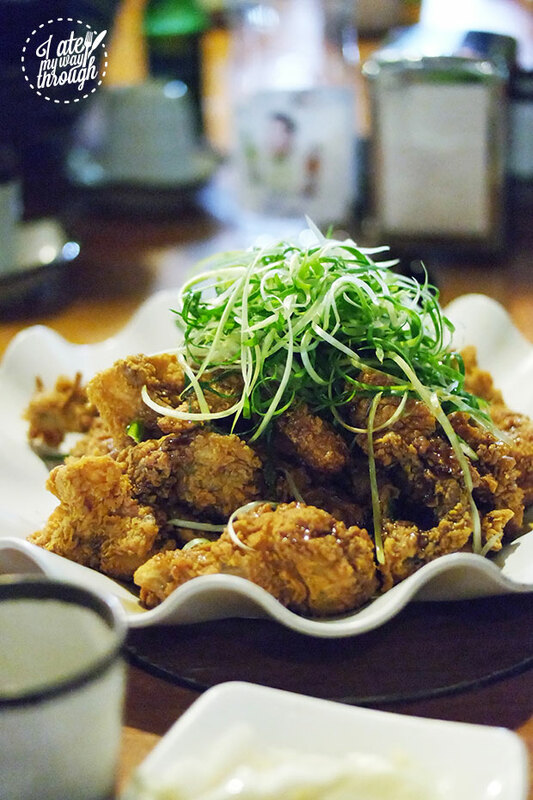 Quite possibly the hottest fried chicken in Korea right now, this version of fried chicken sits in a pool of sweet wasabi-laced sauce, and topped with pretty shreds of spring onion. 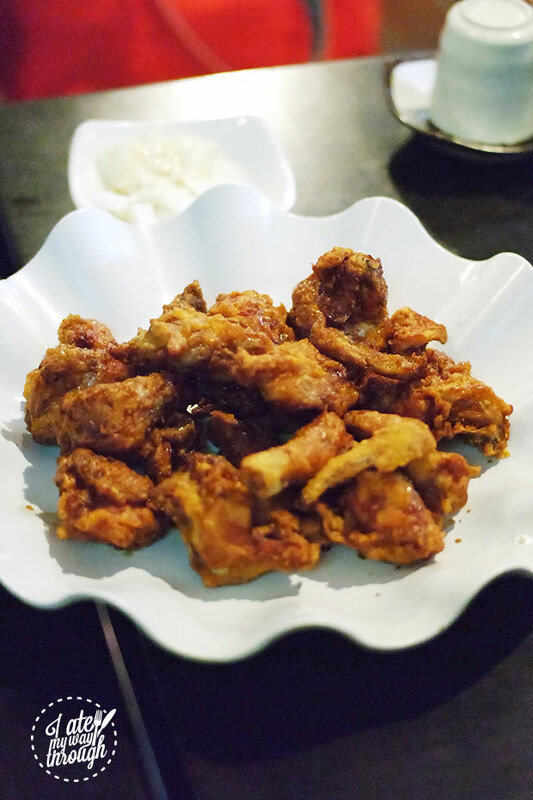 I found this the most addictive of the three – my favourite thing to do was to dip in a crispy piece of chicken skin in the sauce, then scooping up the fresh spring onions and eating it all in one bite. Best fried chicken in Sydney? I would believe so. Then it’s on to Stra Pocha, to finish up the evening with some hot soup and fiery chilli chicken. At first glance, Stra Pocha looks tiny and not quite able to fit our group of about 20 people. But upon entering, we found that it was a maze of rooms and tabletop barbecues, with shelves piled high with portable butane gas stoves for the hotpot experience. James recommended the Gamja Tang, $32-52 – a peppery steaming pot of tender, slow cooked pork with noodles and potatoes. This was just the ticket for a cool windy night, and there was something really comforting about the fall-of-the-bone pork with strands of chewy clear noodles. And of course, some Cheesy Chilli Chicken, $35. Pieces of chicken breast is covered in a sweet chilli sauce, before being grilled in a hotpot with stringy melted cheese. As usual, it was absolutely fantastic meeting up with new food lovers, and meeting a few familiar faces. It’s always fun dining with a large group, and at 20 people, this has been our largest Meetup yet! If you’d like to come along to our next Meetup, you can join our Meetup group here!